You can easily modify visual appearance of the trend to fit it to your requirements. Eg, you can change the background color, color of the grid, text labels, etc. 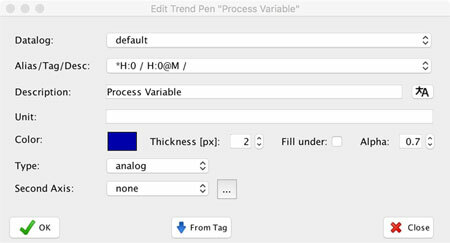 To change the visual appearance of the trend, please click on the trend in the project window and navigate to the properties window, to the section Visuals. Here you can change the parameters to your requirements. Changing these parameters will allow you to customize the appearance to fit your brand standards or to make it more visually appealing to you. 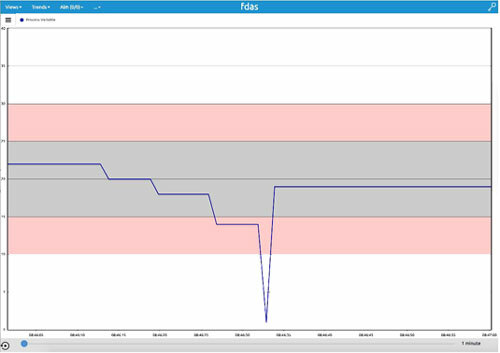 Markings allow you to draw regions in your chart. 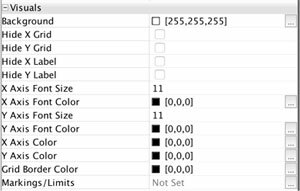 This way, you can easily visually highlight the limits for variable. 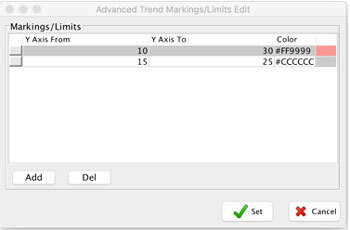 You can create multiple markings for one trend. To add/delete marking please click on the “…” next to the markings. You will be presented with the dialog to set markings. 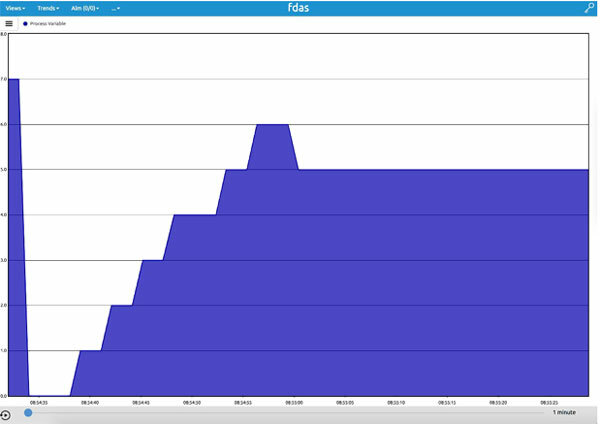 The following example shows a chart with 2 markings regions enabled. One gray region in the range of 15 to 25 and one light red region in the interval 10 to 30.